Connecting with what it means to be of this land, through practical relationship with the plants and fungi that surround us. 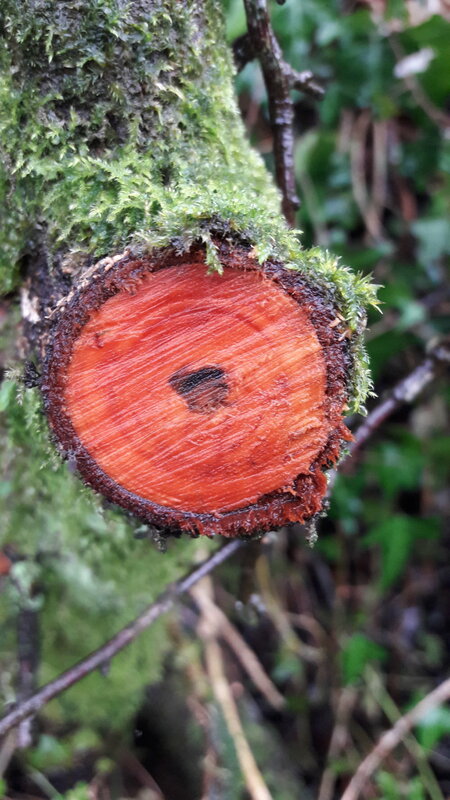 Explore the land through gathering wild dye plants, & fungi as well as growing plants to produce a variety of vibrant colours using non toxic plant based processes. Learn how to create beautiful textile designs using natural materials. Identify, grow, and use locally abundant colour producing plants for textile projects. 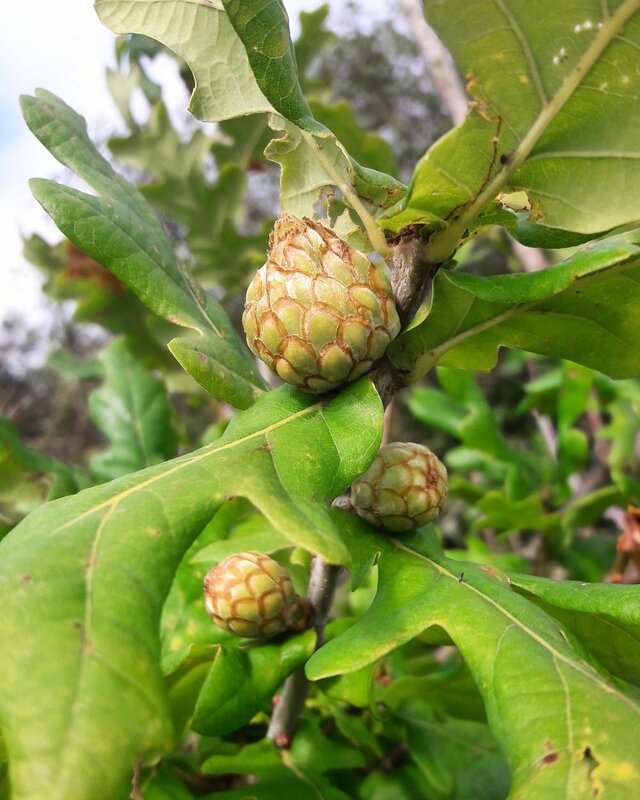 Connect more closely to where your clothes and textiles come from, become a part of the natural systems we live within, by learning how to identify and use plants for textile crafts. Demonstrating a small scale DIY alternative to fast fashion, the polluting chemical dye industry and toxic cotton production. 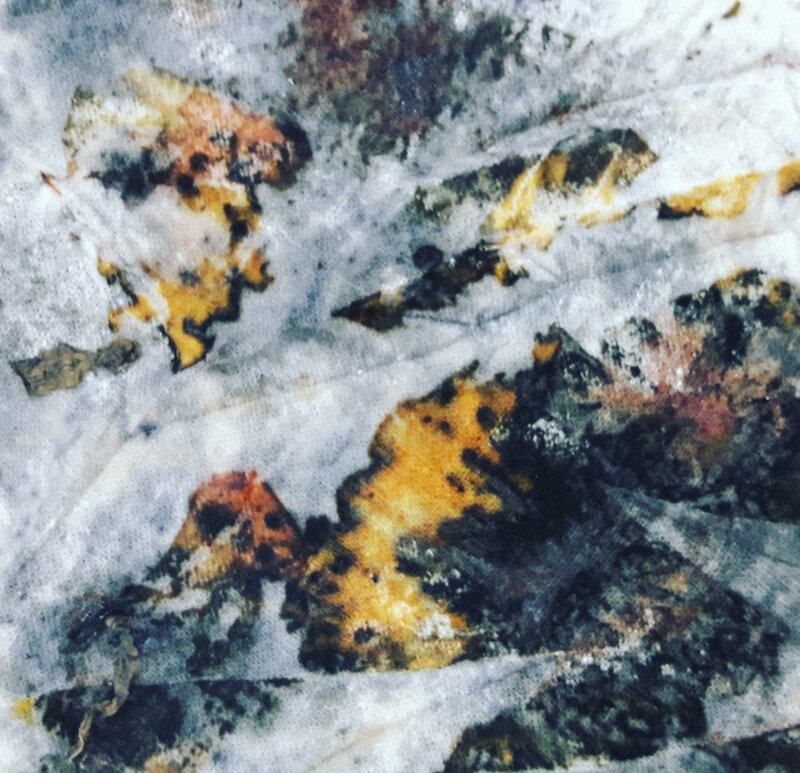 Exploring natural dyeing techniques to create a variety of colours and effects on silk and wool. Create a variety of colour samples and some fabric to use in a textile project such as a scarf or cushion. We will also create strong, vivid colours using traditional dye plants such as madder and weld. These plants have been used for thousands of years to colour the textiles of our ancestors all around the world. 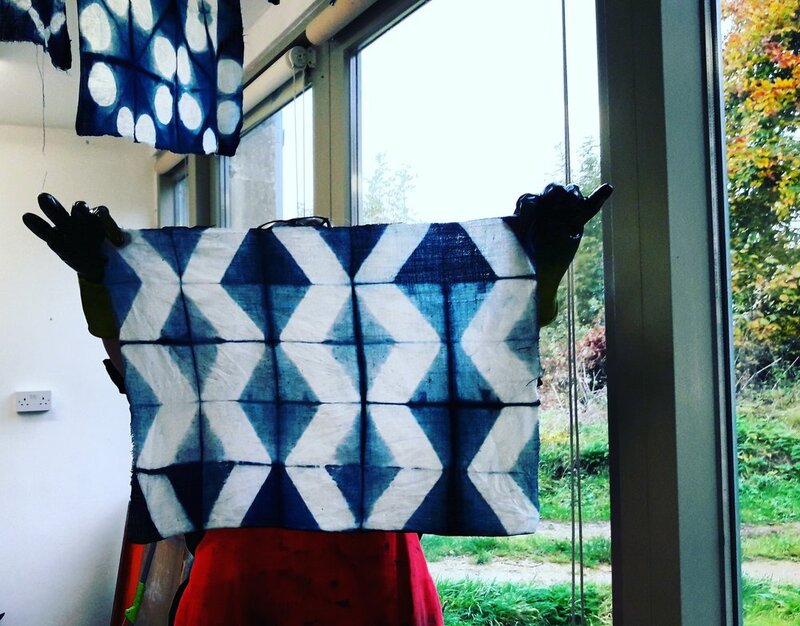 We will apply simple shibori resist techniques using clamps, wood blocks, and string to create patterns on the fabric. 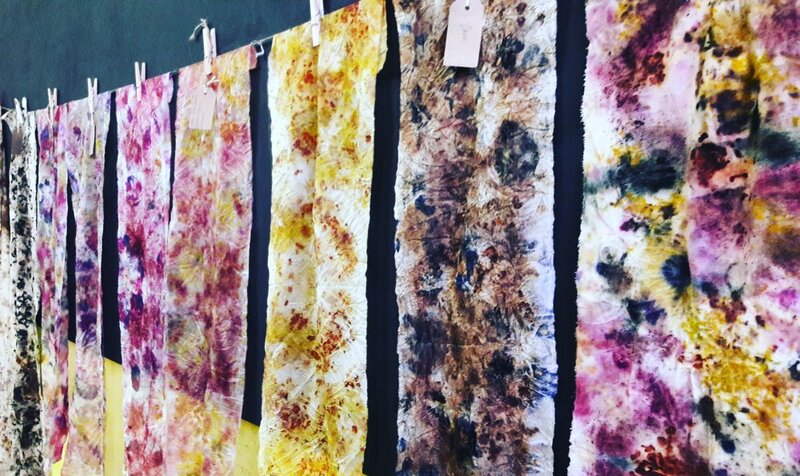 There will be an introduction to bundle dyeing and an opportunity to try out plant based inks. Come to the indigo dyeing day on the Sunday. On this day, we will be learning how to make and dye with an indigo dye vat to make beautiful pure blues. We will also be expanding our colour range by over dyeing to create purples, greens, and browns. If it is booked up, I do sometimes have cancellations, so it is worth adding your name to the waiting list. 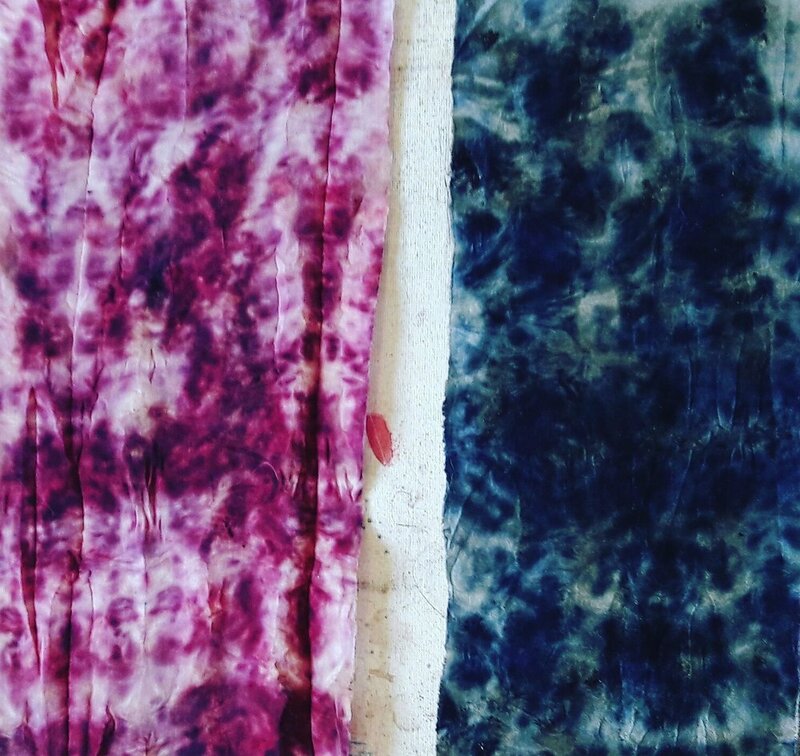 Explore indigo vat dyeing and shibori resist techniques to create beautiful patterned textiles. 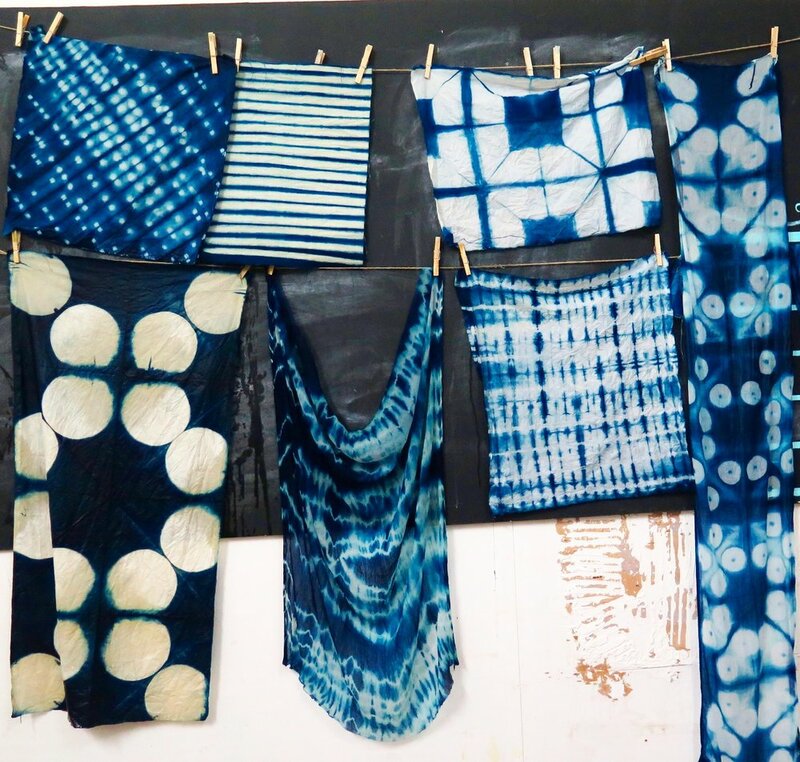 Learn traditional methods of shibori resist dyeing - folding, clamping, scrunching, and stitching create repeat patterns. A practical guide to how to create, dye with, maintain, and dispose of an organic indigo dye vat. You can bring natural clothes or textiles to put in the dye vat. I will have some linen and organic cotton available. Come away with a dyed upcycled garment, or fabric to make in to something like a scarf, or cushion. If you come on the Saturday, bring your dyed fabric back to over dye to create greens, purples, and browns. Cost: £85, including a length of organic cotton. I am open to skill shares and exchanges. If it is full up, I do sometimes have cancellations, so it is worth adding your name to the waiting list. Saturday 12th and Sunday 13th October, 10am-4pm. 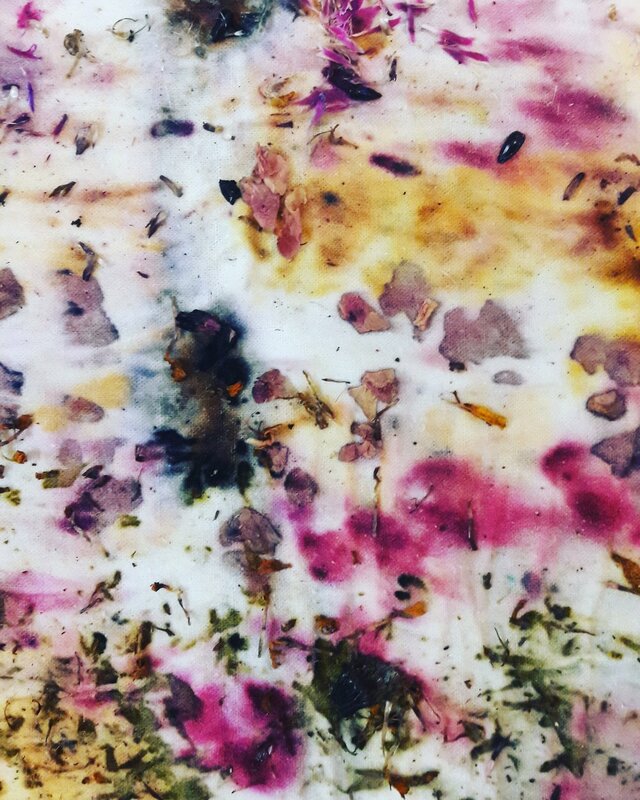 Exploring natural dyeing techniques to create a variety of colours and effects on silk and wool. Create a variety of colour samples and some fabric. We will also create strong, vivid colours using traditional dye plants such as madder and weld. These plants have been used for thousands of years to colour the textiles of our ancestors all around the world. We will apply simple shibori resist techniques using clamps, wood blocks, and string to create patterns on the fabric. 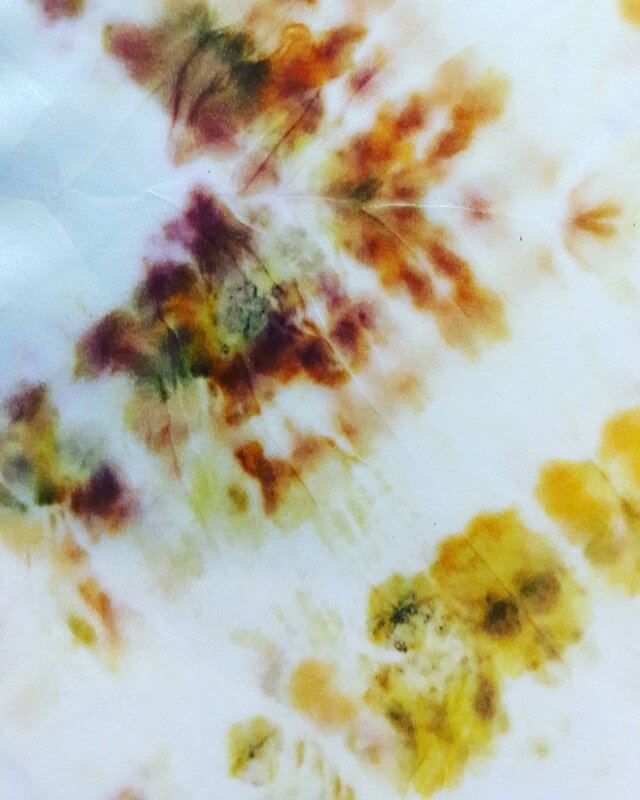 There will be an introduction to bundle dyeing and an opportunity to try out plant based inks. We will also be expanding our colour range by over dyeing to create purples, greens, and browns. 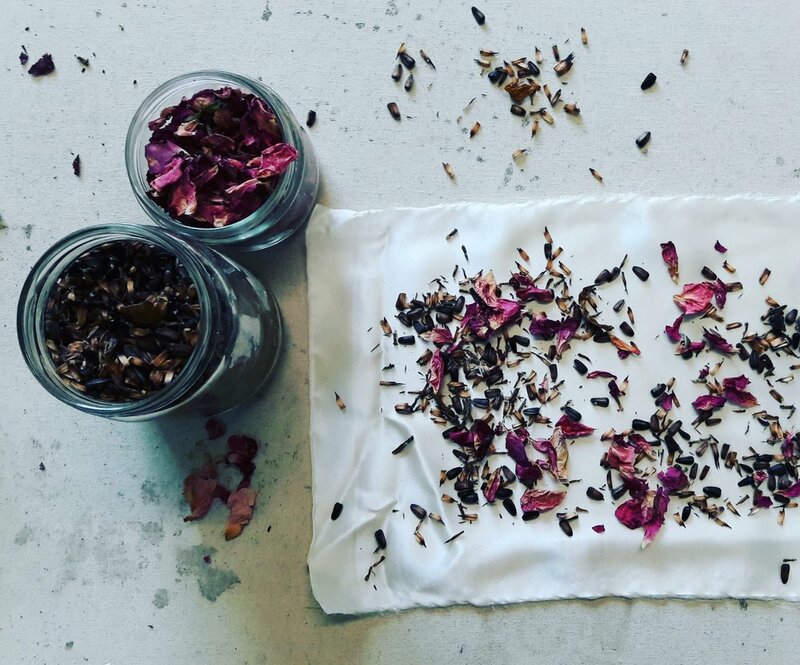 Come to this workshop as a one day workshop, or come to this Introduction to Natural Dyeing workshop on the Saturday as well, at a discounted rate of £160 for both workshops. 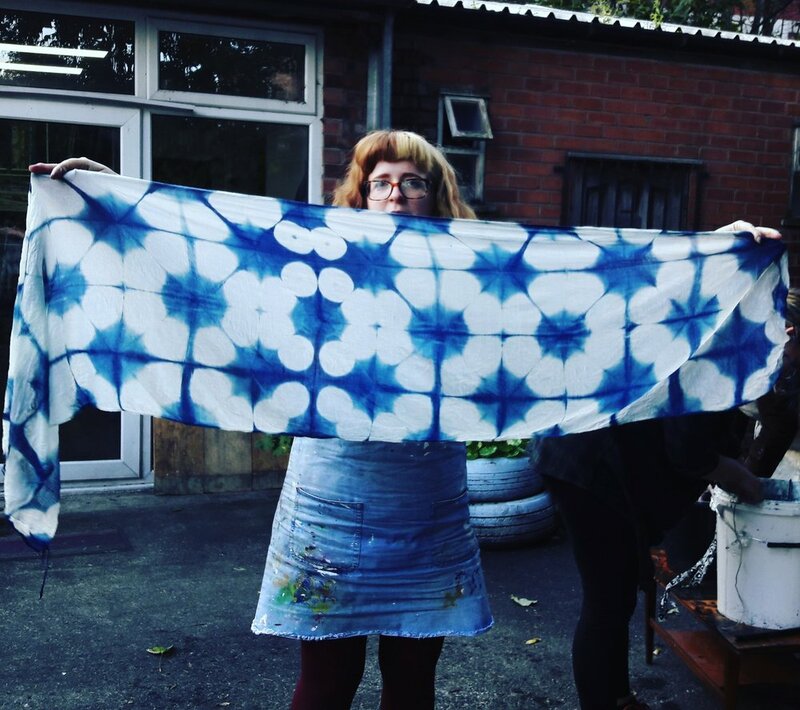 One and two day workshops natural dyeing & Indigo vat dyeing. Read, watch, and listen all about it!